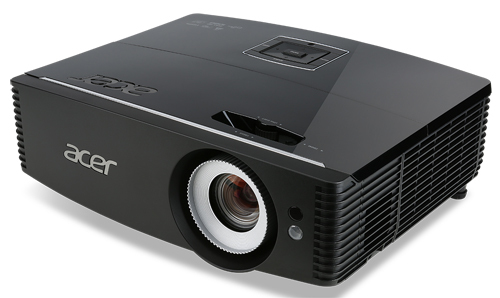 At the moment, the Acer P6500 is the lightest weight and lowest price 1080p projector on the market with a rating of 5000 lumens or more. Available at prices around $1300, it delivers solid image quality for data and presentations with good color balance and nicely saturated color along with video quality that's easily good enough for most classrooms or even casual use at home. Weighing 9.9 pounds, the P6500 is intended for permanent installation but it is still light enough for portable applications that require a bright, high-resolution projector as well as for business users who want a projector they can bring home occasionally to watch a big game or movie. The P6500 offers four predefined color modes, and one customized mode. Make a change to any of the four presets, and it automatically becomes the new User mode, overwriting any previous customization. As we've seen in many commercial / business oriented DLP projectors, the color is darker than it should be in its two brightest operating modes (Bright and Presentation) and more vibrant in lower brightness modes--a difference that's noticeable with both video and color business graphics. The Presentation, Standard, and Video modes show relatively neutral grays at all levels from black to white. Bright mode offers a noticeably warmer gray than the other presets. The P6500's native 1920x1080 resolution does a good job of resolving detail, which is particularly important for the display of text documents, financial spreadsheets and complex graphics. White text on a black background (frequently hard to read) was easily readable at sizes as small as 6 points in our tests. Black text on white was crisp and readable even at 4.5 points. Video. 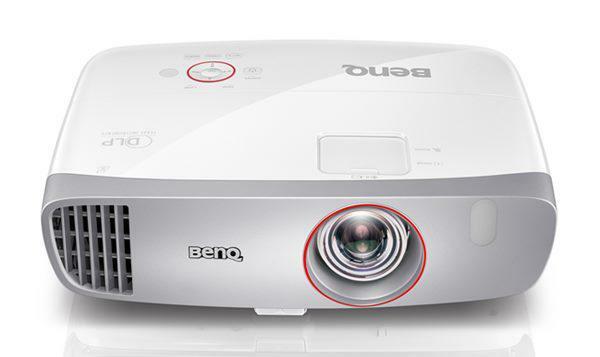 Unlike many HD projectors that are designed primarily for data and presentations, the P6500 does a credible job with video also. It doesn't offer most of the picture controls you get in a home theater projector, but the quality overall is a match for inexpensive home entertainment models. Colors are a touch off in the two brightest predefined modes--both because of the tendency for some colors to be a little dark and from the loss of subtle shading, which leads to minor posterization. However, if you need the extra brightness, the video quality is more than good enough for extended sessions in a classroom or for casual home use even in the brightest mode. If you don't need the extra light output, the Standard and Video modes deliver more vibrant color and better color fidelity. Most commercial single-chip DLP projectors show a few rainbow artifacts, but the P6500 does well on this count. Even with black and white video where they are usually the most obvious, they show infrequently enough that few people are likely to find them bothersome. As always, the benefit to the single-chip design is the guarantee not to have misconvergence, which can be an issue with three-chip projectors. 3D Video. The P6500 offers 3D with DLP-Link glasses, and it does a good job with 3D-specific quality issues. I didn't see any crosstalk, saw just a hint of 3D-related motion artifacts, and saw only a typical loss in image brightness. For those aspects of quality that 2D and 3D share, the image quality is similar in both. There's only one 3D color mode and no way to customize it except for changing color temperature.